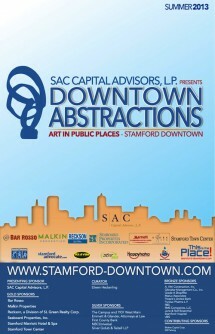 Art In Public Places- Downtown Abstractions | Stamford Downtown - This is the place! Each year Stamford Downtown hosts a distinguished outdoor sculpture exhibit designed to attract both local and regional audiences. Art in Public Places features sculptures lining the sidewalks and parks of the Downtown as well as the Stamford Town Center.